Agnes of God is a clever and powerful play by John Pielmeier currently being performed in The Casson Room at The Leatherhead Theatre and directed by Trevor Danby. Before tonight's performance I photographed the 3 actresses: Jessica Holloway, Judy Clifton and Claire Malcomson who take the audience through the full range of emotions. 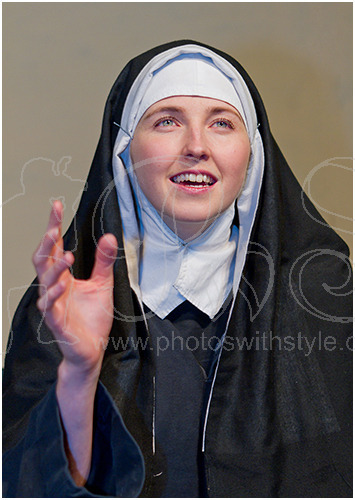 For more pictures from the play see my Theatrical gallery.